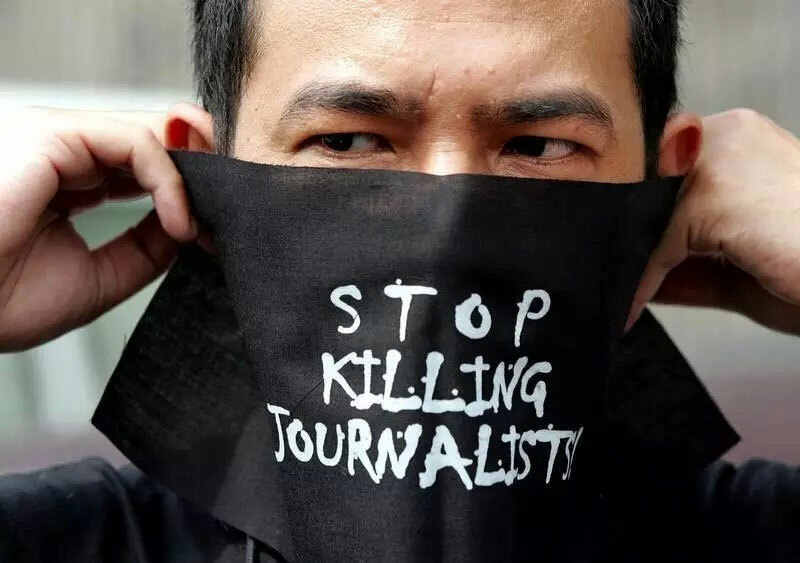 Media killings, commercialism, and ethical ignorance have corroded the foundation of the press as a pillar of liberal democracy, said a professor at the University of the Philippines. 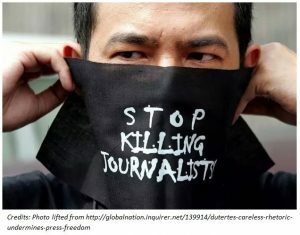 Media killings are political: there should be democracy and freedom, but those who deliver news and opinion are killed, wrote Dr. Rolando B. Tolentino, former Dean of the College of Mass Communication, University of the Philippines, in the book, Crimes and Unpunishment (Unesco and AIJC, 2012). From the long history of media killings in the country (170+ since 1986), Dr. Tolentino saw a pattern in the method of attacks and in the public’s response. “The method of killing media people has been conventionalized: open, brutal, hurried and sure. The killings follow that of the more widespread political killings: the killer is on a motorcycle, often with face uncovered, he attacks at any time, and often in the presence of the family as a reminder of retribution should they choose to file charges. “The response from the ranks of the media is sure: at the outset the response is widespread; it starts from the very city or the nearest city from which the media person worked, until it resonates in national newspapers and media. “The sharpest statement comes from the media organization, with equal parts anger and sigh, ‘Here we go again;’ there are symbolic protests, which politicians will take advantage of; and in many instances, insufficient response. The impunity is also defined by the lack of action by the authorities, where a weak state is unable to uphold personal and social justice. The author reminds us of the power of media, which in this country is commercial media. Commercial media dictate the production, dissemination and reception of news. Citing Nielsen (media pollster) figures, Dr. Tolentino said Filipinos spend 13.3 hours weekly on television; 6.3 hours on radio; 3.6 hours reading newspapers and other print media—enough for them to have an understanding of what they view in media. And yet the pursuit of profit, which is the first consideration of big media business, has led to the “ratings war” in television, resulting in the “dumbing down” of media content into “infotainment,” where even the news is offered to be entertaining programs for the public to bring ratings, attract advertising, and translate into income for the owners. The biggest networks ABS-CBN, GMA and ABC were cited as examples of the vertical integration of media with the owners’ other big businesses. “Often, the rational delivery of news and opinion is sacrificed. There is no completely critical literacy in media because the primary focus is the search for ratings. The effect of competition for income is loss of quality and an uncritical media audience,” Dr. Tolentino argued. “Because of the motivation to increase income, media conglomerates have a track record of scrimping that is detrimental to the good of their employees. In the big networks employees are considered ‘talents’ who are not entitled to the privileges of a regular employee. “In print media, the reporters, especially those who are just starting out, are considered apprentices and as such, are paid depending on the length of the article that appears in the newspaper. These people work ‘to death’ to scoop news,” and the requirement of quotas and deadlines rule out research that could produce in-depth reports. “Because the journalist is sometimes not treated as a regular employee in his place of work, there are corrupt practices that are spreading as normal practice.” A common practice is receiving money for favorable writing or fixing of news. The practice is so widespread that many think it is normal and natural.